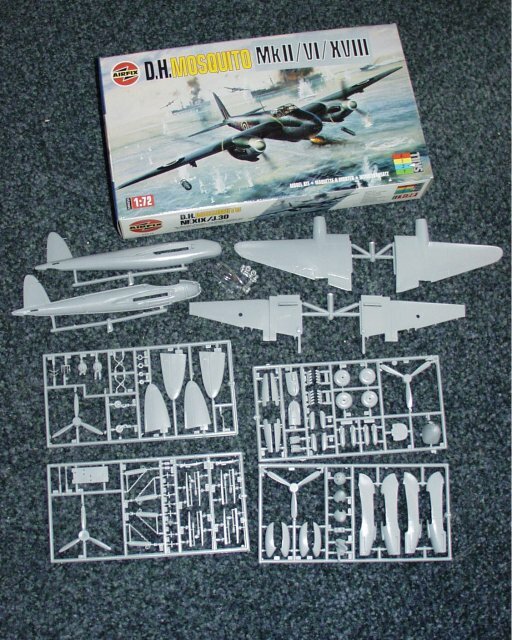 Airfix 1/72 de Havilland Mosquito Mk.II/VI/XVIII model kit box art. Nacelles and other assorted components close-up. 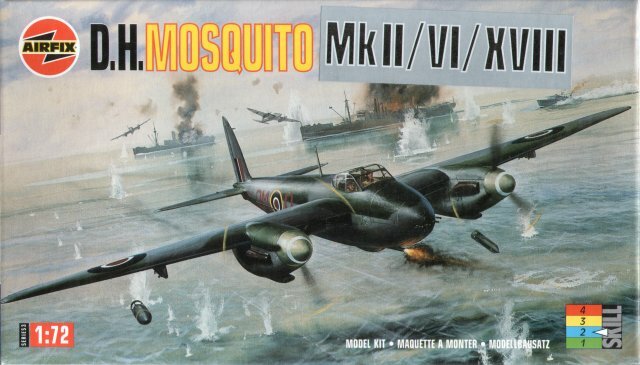 The moulding quality of the Airfix 1/72 scale Mosquito is fair - I remember building this kit when I was young however, so the mould has been in use for a good number of years! 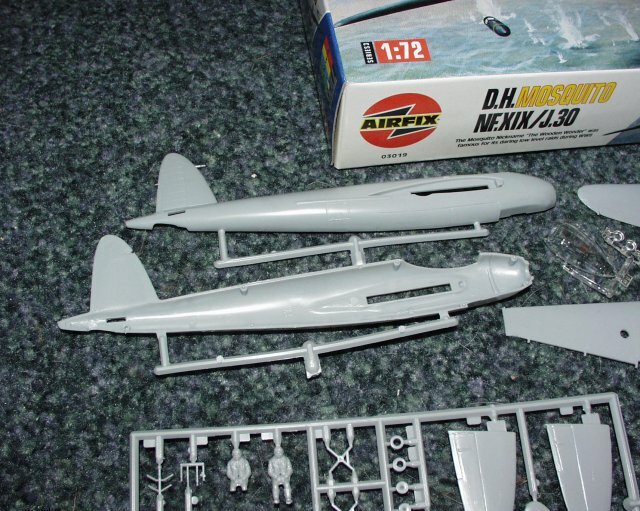 Flash and flow marks were evident on a number of parts. 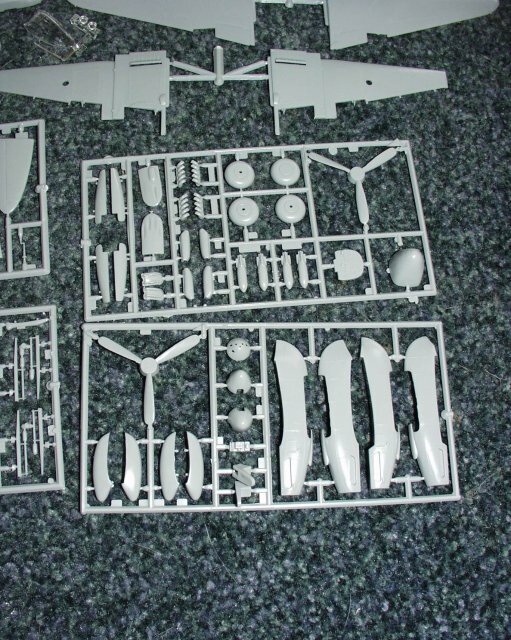 The kit comes complete with parts and decals to finish the model in one of 3 variants, an NF.II of 23 Squadron RAF, an FB.VI of 1 Squadron RAAF, or an FB.XVIII ('Tsetse') of 248/254 Squadron RAF.